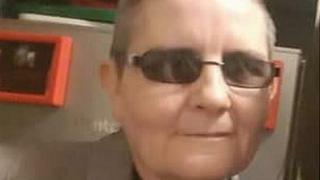 A man and a woman have been acquitted of murdering a holidaymaker outside a seaside bar near Skegness. Hayley Fletcher and Leon Wadsworth, both 31, denied killing 52-year-old Caroline Fisher, from Nottinghamshire. The grandmother died in hospital in the early hours of 21 July after a fight outside Buzz Bar in Ingoldmells. A jury at Lincoln Crown Court returned not guilty verdicts to murder and an alternative charge of manslaughter against the pair, from Sheffield. Wadsworth, of Milnrow Road, admitted causing actual bodily harm to a man, Michael Wilcox, and was jailed for 10 months. He is likely to be released immediately because of the amount of time he spent in custody on remand. During the trial, he admitted punching Ms Fisher but told the court he "wouldn't have touched her" if she had not attacked Ms Fletcher, of Paper Mill Road, who is his partner's cousin. Jurors were told he saw his co-defendant being set upon by two men and a woman and he "punched the one that was using a weapon". Ms Fletcher had told the court she went outside to calm down Wadsworth after he was involved in an argument with his partner but was then attacked. She claimed she acted in self defence when she twice kicked Ms Fisher, who was on the ground, as she "was petrified" after being attacked with "a bottle or a glass". Follow Lincolnshire on Facebook, Twitter, and Instagram. Send your story ideas to yorkslincs.news@bbc.co.uk.